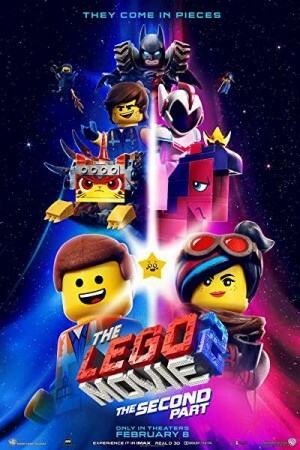 The Lego Movie 2: The Second Part is a computer-animated, science fiction set up in the fictional town of Bricksburg. Starting in a period 5 years after things took a good turn in the first part, citizens of Bricksburg are now facing a new threat with LEGO DUPLO invaders from outer space coming to attack the town, wrecking everything in their path. The new threat needs all the heroes to reunite and work together to restore peace & harmony to their world. While this takes Emmet, Lucy, Batman, and their friends to an unknown, faraway world, how they face the new threat forms the rest of the story. Company: Warner Animation Group, Warner Bros.